Welcome to the OMG Oh! Maura Gale Show with Special Guests "You" our listeners, so call in to join the conversation! Call in at 347-324-5246 and press 1 it's that easy! Today's OMG show segment is called "OPEN AIR" - it's where Maura takes a deep breath and blows out some of the things on her mind. She'll be discussing GRATITUDE FAITH & HOPE! It’s an intentional opportunity for Maura to let her hair down (so to speak). In between sips she'll share tips and tales about the all sorts of things, stirring in her savvy suggestions about releasing bitterness and un-forgiveness successfully, reaching forward towards hope and happiness and of course talk about some of the ways she implements self-care! She’ll close with callers tickling your earlobe with “the things they’re grateful for.” You’re invited to sit in a front row seat to sip and share in...What’s on Maura’s Mind. Enjoying the Conversation? Subscribe to the Show! Visit the OMG Oh! 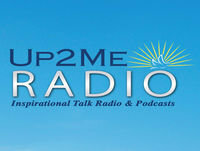 Maura Gale Show Page at www.up2meradio.com to learn more about the network, the show, Host Maura Gale and her guests.